Green Bay Packers quarterback Aaron Rodgers suffered a broken right collarbone early in Sunday’s game against the Minnesota Vikings, an injury that could sideline the superstar quarterback for the remainder of the season. 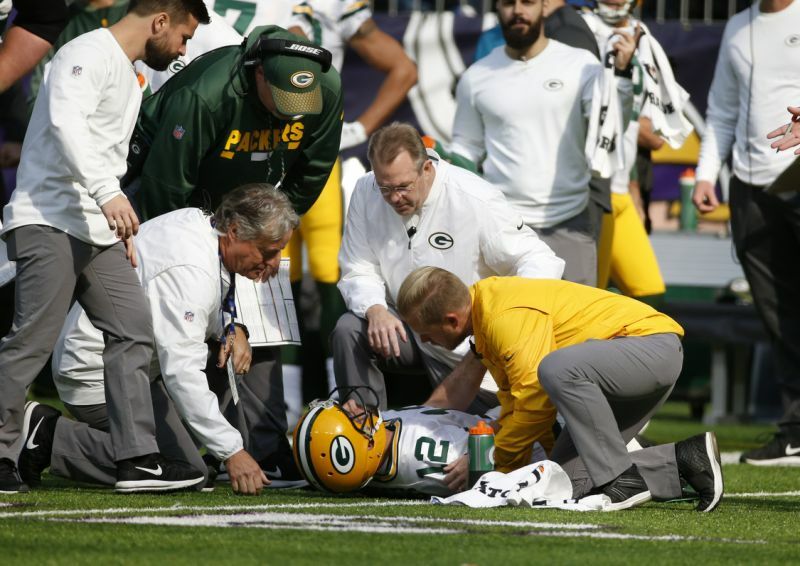 The injury occurred on Rodgers’ fourth pass attempt of the game. 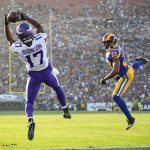 Vikings linebacker Anthony Barr landed a hit on the two-time NFL Most Valuable Player just after the pass was thrown, forcing Rodgers out of the game. Rodgers finished the game with just 18 yards after completing 2 of 4 passes. Rodgers was replaced by backup quarterback Brett Hundley, who finished 18 of 33 for 157 yards and a touchdown, while also throwing three interceptions. The Vikings would win the game 23-10, pulling into a tie for first place with the Packers atop the NFC North division with a 4-2 record. 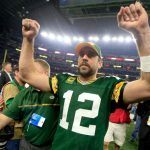 While it is unclear whether Rodgers will be able to return before the end of the season, even an absence of two months could be fatal to the Packers’ chances of making a Super Bowl run this season. 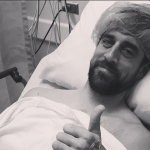 While Rodgers missed seven games in 2013 with a similar injury, in that case it was his left collarbone that was broken. This time, the injury is to his throwing shoulder, which could keep him out even longer. Green Bay opened the season as one of a second tier of favorites (behind the New England Patriots) to win Super Bowl LII. 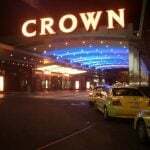 At the Westgate Las Vegas Super Book, they were listed as 12-1 to win the championship before the season, and their hot start had shortened those odds to 5-1, second only to the Patriots (9-2). But the Rodgers injury has dramatically changed how bettors are treating Green Bay’s chances. Many online sportsbooks are now offering 20-1 odds on the team to win the Super Bowl, with betting exchange Betfair now seeing bets on the team being taken at 31-1. More immediately, the injury will have a major impact on the point spread in all Packers games until Rodgers makes a return. Green Bay is at home against the New Orleans Saints next week, and would likely have been a modest favorite with Rodgers at quarterback. Instead, the Saints have opened as 3.5-point favorites on the road. Aaron Rodgers is one of the most successful quarterbacks in NFL history. Having played for the Packers since his rookie year in 2005, he has been named to the Pro Bowl six times, and won a Super Bowl championship with the team following the 2010 season.